Arena of Valor has taken the Chinese gaming market by storm and now it's set to debut to a whole new gaming audience, one with vast numbers itself. 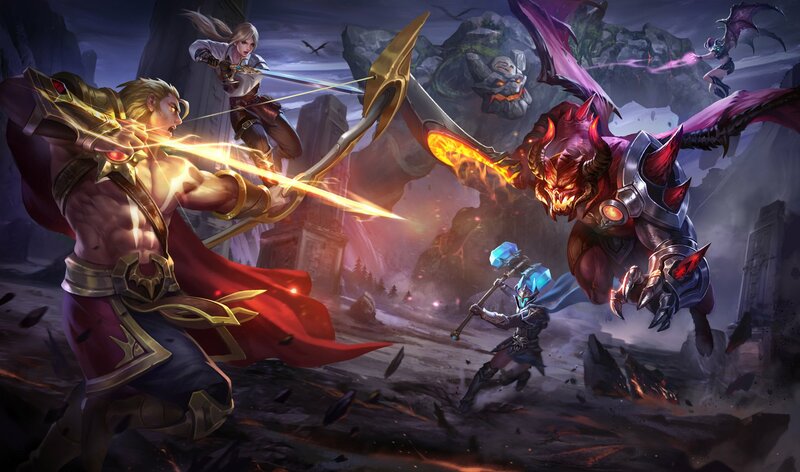 The Nintendo Switch version of Arena of Valor is now set to officially launch next week, according to a Wednesday press release (via Variety Gaming). Arena of Valor is a 5v5 MOBA, which originally launched on mobile devices in China. The game has spread internationally and has a massive player base around the world. That player base will be able to tie their accounts to their Nintendo Switch IDs, which will grant them in-game currency to give them a headstart. The game will include 39 heroes at launch, with more set to join in the coming months. Interestingly, a Nintendo Switch Online membership will not be required to play Arena of Valor. The Nintendo Switch version of Arena of Valor is coming off a successful beta and is already finding a Western audience, both on the casual and competitive side. For more on the esports side of Arena of Valor, revisit our E3 2018 interview with Tencent's Ramon Hermann. Arena of Valor will release on Nintendo Switch on September 25. Those who would like to see what the fuss is about before then can download it now on the App Store and Google Play.